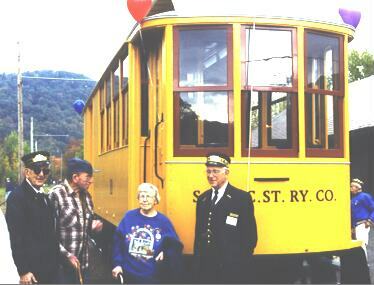 Trolleyfest is our annual celebration of the restoration of Trolley No. 10. The public is invited from 11am to 5pm at our regular $4.00 All-Day Pass rate, members as always get to ride free! 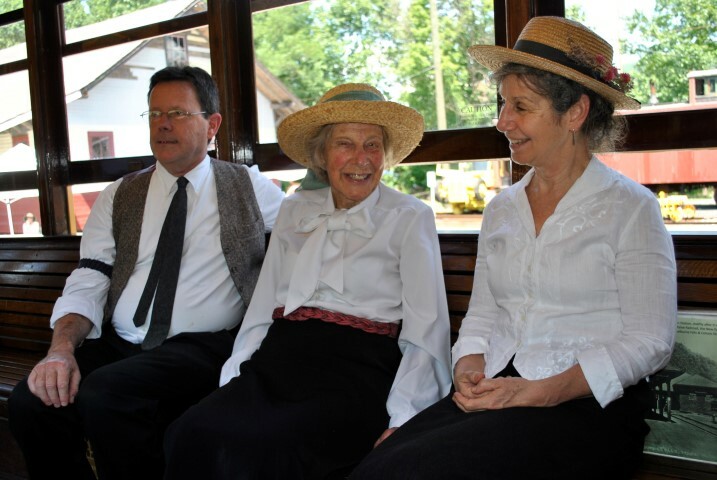 At this point we are still in the planning stages, here are some of the things we did in 2018, rail-related rides and activities and hands-on activities from the Trolley-Era. 1:15pm -Marie Betts Bartlett reads her book "The Little Yellow Trolley Car"
Raffle drawing, see our Raffle page to buy tickets ahead of time. Check back for other activities. 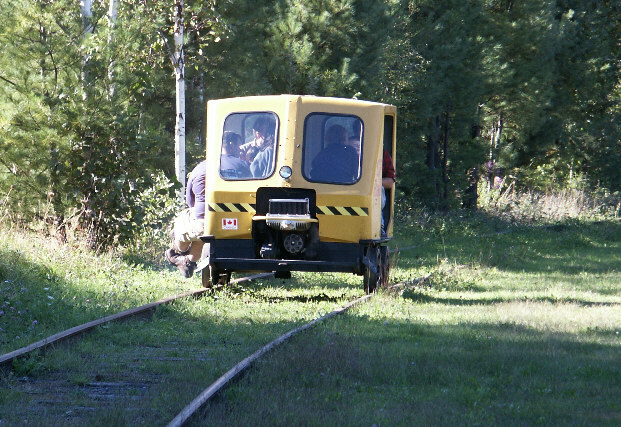 Here are some activities and views from Trolleyfests of the past. 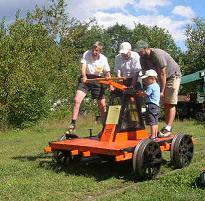 At Trolleyfest we have activities and demonstrations that relate to the history of the Shelburne Falls and Colrain Street Railway from 1896 to 1926. Note that not all of these activities are available every year. A small-scale version of the W.W. Cary Cider Mill, which produced up to 500,000 gallons of cider vinegar in Foundry Village. Vinegar, made from local apples, was an important preservative for pickling prior to refrigeration. 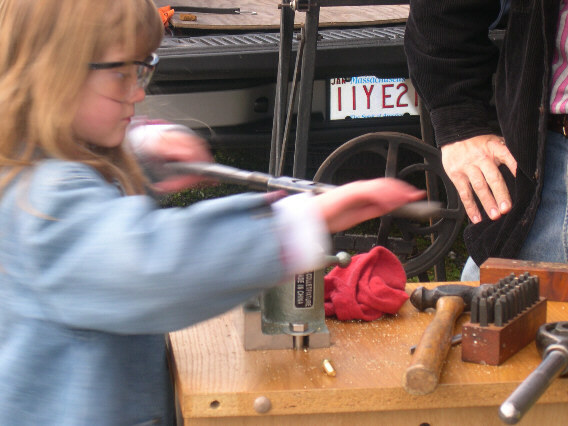 Our friends from the Museum of our Industrial Heritage set up a screw making exhibit. Machine tools and industrialization are intimately tied in to the history of Shelburne Falls and the trolley lines. 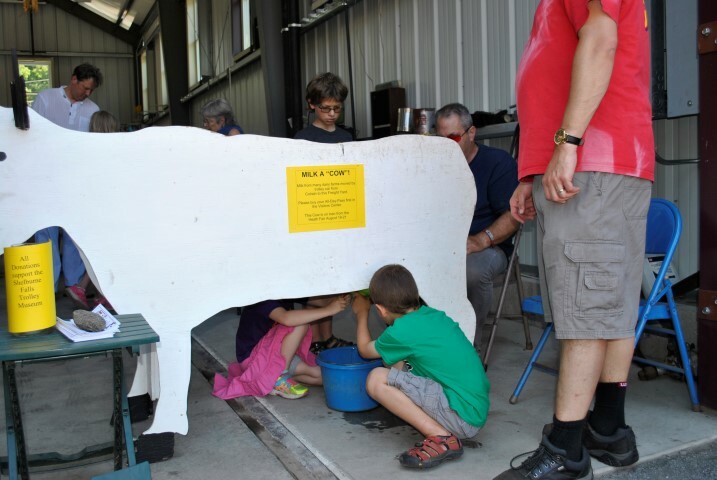 Dairy production was an important part of life in New England. A H.P. Hood and Sons creamery was located in the Buckland Freight Yard, which processed milk from local farms for shipment to distant cities. 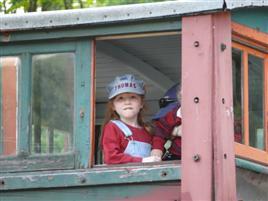 Image Policy: Use of these images is permitted as long as the words "Shelburne Falls Trolley Museum" are in the caption, and the photo is properly credited.